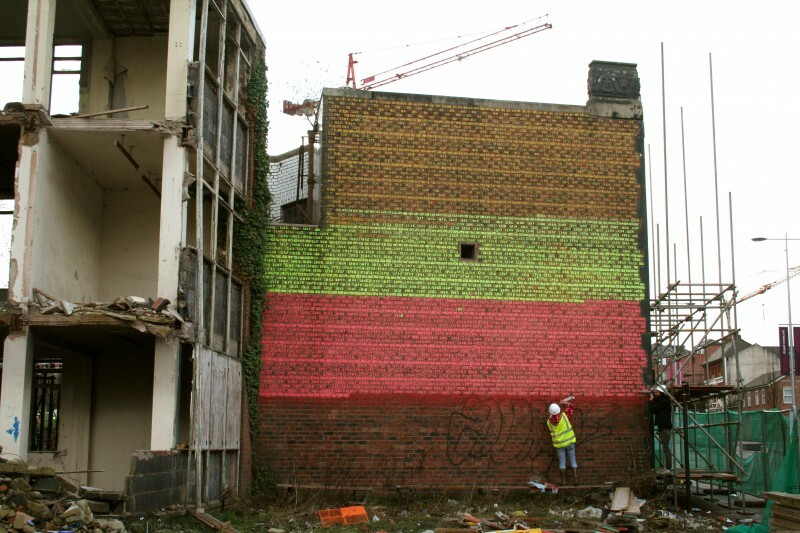 The Wall is an artwork initiated by Jen Wu and has been in development since early 2012. 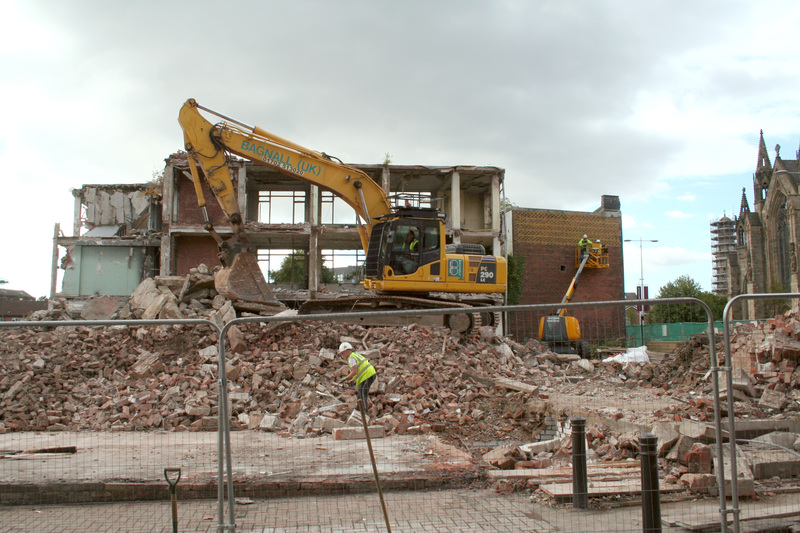 A wall needed to be found – a brick wall due for demolition – and in late 2012, discussions began for the Old Bank Theatre and Chapel Street, Salford to be the site of the work. Over 2013, negotiations have been taking place with English Cities Fund (the agency delivering Salford’s regeneration), Urban Vision (the agency managing building and demolition on behalf of the Council) and Salford City Council. It was a complex negotiation, however, in August 2013, with the support of Bagnall UK (the demolition contractor), an agreement was reached for phase one of The Wall. And now The Wall is happening. | Public events will be held throughout the next stages. At each event, it is intended that the bricks will be handed out gradually for ‘looking after’ – to be brought back for the reconstruction event in 2015. 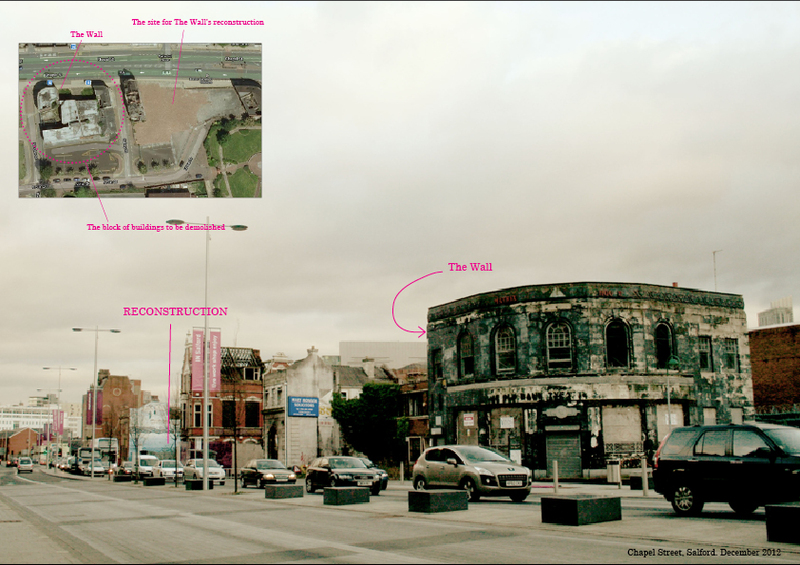 Once rebuilt, The Wall will remain on Chapel Street for another three years until development on the site begins.